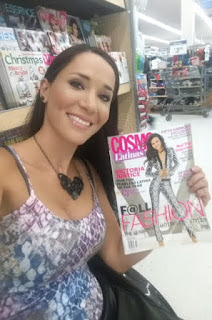 We recently were fortunate to have the opportunity to get up close and personal with model, television host, spokesperson and motivational speaker, Tamara Mena. 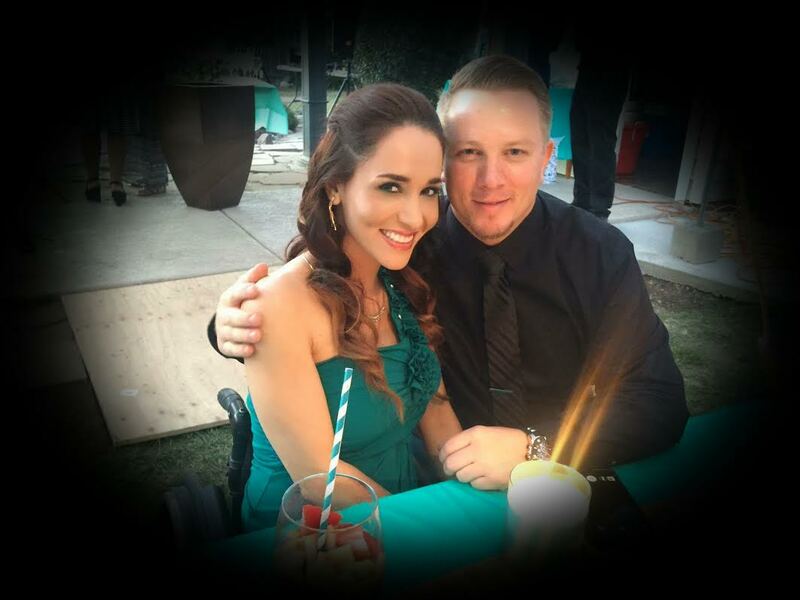 Among many projects, Tamara hosts ‘Beauty on Wheels’ (BOW) for ‘Life con Acento LATV’. BOW is a show that covers trends and events in beauty and fashion. It's the first show of it's kind to have a host that uses a wheelchair, breaking barriers in the industry. Read about this dynamic woman and her journey from not one, but two tragedies, to a meaningful life and career. "It’s terrible to go from one day feeling like a super woman, living in my own place in San Diego, an independent 19-year-old and, in seconds, all my dreams and goals in life with my boyfriend were shattered, just like that… Even more, I went from feeling so powerful, to helpless… in seconds. I couldn’t even do the most basic things for myself. No, I’m not talking about walking here… I’m talking about eating, about breathing, or speaking for myself. My lungs collapsed due to the roof of the taxicab collapsing on top of me, literally, and I had to rely on a ventilator for my breathing and I could not eat nor speak for sometime. It was so difficult and painful. I didn't know what had happened and couldn't even communicate. As a result of this freaky car accident, I broke my back, sustained a spinal cord injury which left me paralyzed from mid-chest down. I fractured numerous bones, but I was, most of all, heartbroken... as my boyfriend of three years was, unfortunately, killed in the accident. He didn’t make it, but he saved my life. I was heartbroken for all my hopes, at that moment in my life, were gone. 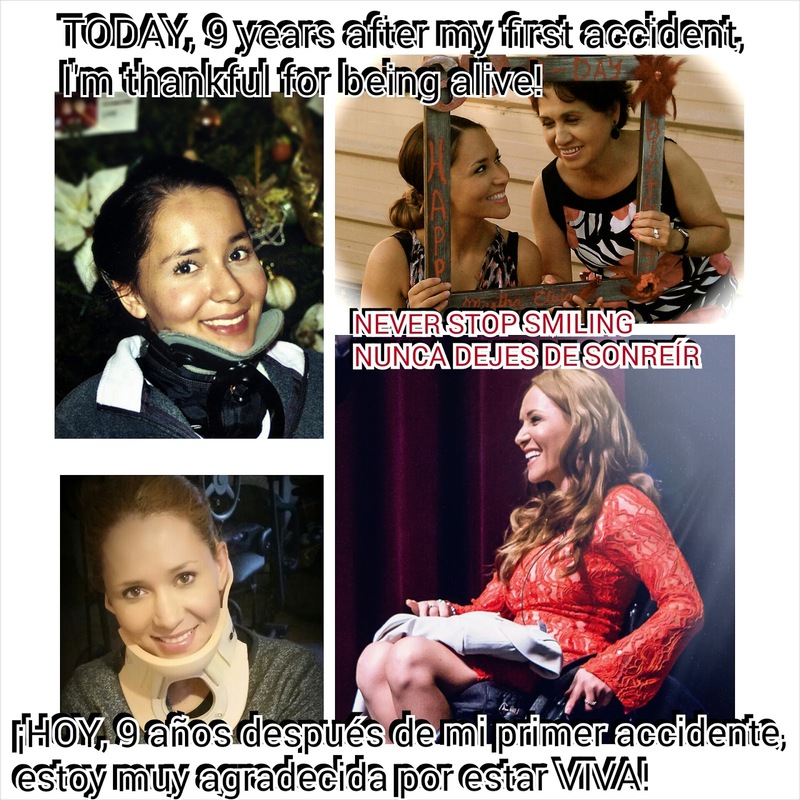 As painful as it was to lose someone so close to me in that accident, at the same time, I realized that I had to be thankful for the amazing opportunity to go forward in life, regardless of the fact that I would no longer be able to walk. Two people unfortunately did not make it, the taxi driver and Patrick, but I was lucky enough to survive and I was going to try to do my best in life, no matter what. I thought the best tribute to my late boyfriend, was that I could show my gratitude for life. And I did, thankfully, with faith, work, determination, and thank God with a great support system - my loving family and close friends. I went back to college, in my wheelchair, graduated in Communication studies with highest honors, and have simply done more than I would’ve ever thought! It’s absolutely crazy and surreal where I’ve been after this life-changing event. It hasn’t been easy, but I’ve just tried to not be focused on whether what happened to me was “fair,” whether it made sense because in a way, it will never make sense. I tell people, it’s not about things making sense. What matters is, the meaning that you give to things, and what you decide to make of them. No matter how negative some things can be, you can always move forward in a positive way. Life does go on after a traumatic event, and it does get easier, only in time, though. You just have to take it day by day and focus on what you can do. I had been wanting to move to L.A. for a while to further my career. I was born and raised in Mexico. I moved to the U.S. when I was 13 years old and ended up in Modesto, CA because my grandfather and other family members lived there. So in a way, I grew up in Modesto too. That’s where the majority of my family lives, and since I’m very close to my family, it was very difficult deciding to leave the area. For a while I just couldn’t. But I also had to be in and out of Modesto, in order to grow after I majored with a B.A. in communication. I’m very thankful for so many great things I was able to accomplish even while living there but I’d always think, I wonder where I’d be if I was in a bigger place, an area like LA. After doing several trips to LA in 2014, I decided to move there and then my plans completely changed. It was so difficult. What happened to cause your plans to change? I had just represented the first Wings For Life World Run as an ambassador and I remember I was on a high from participating, in this awesome event. I was ready to finally move to LA. On my way back up to Modesto, unfortunately, I had a second car accident. It was very scary. Yes, this time I was driving. Can you describe the accident? I was looking for a bathroom near Fresno, CA. I took a random exit. It looked to be a straight regular off-ramp. There were no signs indicating a sharp curve, much less to reduce speed. When it all seemed straight, the road turned completely to the left and there was loose gravel which caused me to lose control. Since there was not a metal guard rail, I went off the ramp and my car rolled over three times, dropping down approximately 50 feet. It was scary. It came very close to me leaving this world. I remember that I prayed, when I got on the road that day and asked God to help us get home safely. I didn’t get home, you can say, but God was definitely watching over us because even the paramedics told us when they got there, “You guys are very lucky to be here and to be as okay as you are for as bad as your accident was.” Can you imagine hearing those words? I think at the moment, I was a little in shock and at the same time, so grateful we were all okay. But I do like to replay those words in my mind because we really are so lucky to be here! Who were you driving with and what were your injuries? I was driving with my cousin, who was visiting from Mexico and my mom, who was sitting, in the back seat. We all suffered some temporary injuries, and it was frustrating for all of us, but we are indeed all very lucky to have been as well as we were, especially since my car was totaled. That was frustrating; to not have a car for nine months, to injure my neck, on top of all the neck and back challenges that I already had, to have to go through all this hardship, a second time, but at the end of it all, thank God for having another opportunity to live life. I know I’m blessed. You told me this car accident was important and symbolic in your life. How so? I had just been at an amazing positive event, to do something positive and then this happened? But it really made me stronger. It’s true, what doesn’t kill you, makes you stronger. This was it for me! And, no, this process that strengthened me was not overnight. I was down for some time. This accident is related to me now living in LA. Right before it happened, I already had decided on making this big move, with my mother who is my best friend, and facing this really low point could’ve really changed me and my outcome in life. I was depressed for some time. For those people who think I’ve had it easy, or that everything is glamorous in my life, it is so not true, far from that. Not only starting with my first car accident in which I became paralyzed and that my boyfriend at the time tragically passed, but other things like this second accident. I have faced probably a lot of hardships in my life, but I try to focus on the highs on all the accomplishments. I don’t want to dwell in the negatives. But I always use negative things to propel me, in a positive way. Today I’m proud to say I did it, I overcame it. Heck no, it wasn’t easy, but what I learned from this is something I share with others. I’ve been able to share this during motivational conferences and it’s powerful because it touches and uplifts people, so in a way, I feel blessed to be able to do that with all that I’ve gone through. Were you scared to drive again? Yes. One of the biggest lessons I share is that you can’t let fear paralyze you. Yes, I was already paralyzed from mid-chest down, but even after this traumatic episode, I didn’t want to let fear paralyze me further by not driving again. Once you lose control of the car, for whatever reason, it’s scary! I remember realizing that we were falling… The worst part, was realizing that I was losing control of the car when I was supposed to be the driver - I was even still holding on to the steering wheel. I remember thinking, I want to do so much in life. I can’t let my fear stop me from pursuing my dreams. I really hope that I can inspire someone to get back to living. If you are letting any fears stop you from doing either something that is important to you or even something you love, just remember that your mind is powerful and strong. Don’t let fear take over! BE IN CONTROL OF YOUR THOUGHTS! THE FIRST STEP IS DECIDING THAT YOU WILL NOT LET FEAR STOP YOU ANY LONGER! If it’s taken over you, for whatever reason, it’s understandable, but choose to move forward, let go of what happened. Don’t let it limit you, any longer. I know it’s not easy, but you can do it. And it does get easier. I was shaking the first day that I got behind the wheel, but I knew I had to do it. I just prayed and drove my car home. I felt so accomplished after that, even though I was still shaking when I got out of the car. Am I were I want to be? Absolutely not, but I am giving it my best. I am hoping to open up doors for myself and for others. Already, the entertainment industry is a difficult one, for anyone, but if you throw a disability or wheelchair in the mix, it only makes it more difficult. But it’s okay; it makes it more of a challenge. 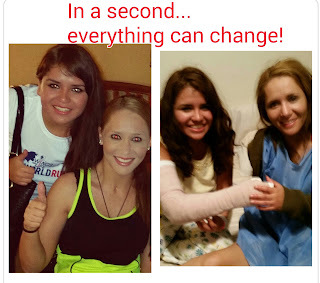 After 2014, when I had the second accident, I had a feeling 2015 would be a great year, and it certainly was, and one of the best! These are some of my highlights, I started out the year by modeling in NY Fashion Week, at Mercedes Benz Fashion Week! I was one of 9 wheelchair international models, and the only one from the U.S. All eyes were on us and newspapers all around the world shared about this catwalk. I just feel so lucky to have been there with Vertical Fondazione. Then the magazine, Cosmo For Latinas selected me as a "Fun Fearless Latina." I was one of 15 "inspirational women, game changers and women to watch out for," alongside amazing women, including Jessica Alba and others! I'm the first woman in a wheelchair to receive the award. On a more personal note, I got reunited to my now fiance, whom I've known since high school but we had never dated. Years later we started dating, when I least expected, and we got engaged on TV in 2015! None of these accomplishments would be as meaningful if I didn't have my best friend and biggest supporter through this wild journey, and that is my mother, the person who brought me to this world and that I will always thank for everything she has done for me. Yes, I am very focused on achieving my dreams but I want to do more than that. It’s important for me to give to others. I want to be in a better place in life because I want to help other people. I would like to continue to use my voice for things that are important to me. We're happy to share Tamara will be one of the models of the upcoming Raw Beauty Project LA. She is a proud ambassador for Wings For Life World Run, Runway of Dreams, and a beauty and style Cur8tor for Cur8able. She is also one of the wheelchair models of the upcoming "Modelle & Rotelle" in Milan Fashion Week!